Guipure lace might not be an African invention, it started when Genoese lacemakers defected to Malta. It has, however, been embraced wholeheartedly by the African community, which has injected colour into this lightweight, elegant and breathable fabric. 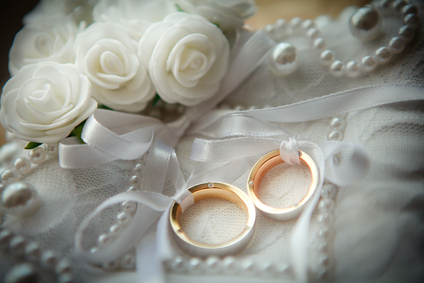 In Nigeria, it is almost unheard of for a lady to attend a wedding without some form of lace on her person and that has been the case for more than 50 years. Guipure is actually a French word. It means tape and was originally used to describe lace that comes with a gimp or even a thicker thread that is used as an outline for the pattern. Modern production techniques and materials mean this is no longer necessary, but the name has stuck for the traditional lace that can be created in a vast array of ornate patterns. It’s a French word and a Maltese design, but it came to Africa via Austria, which exported lace and wax prints to the African market in the 1960s. 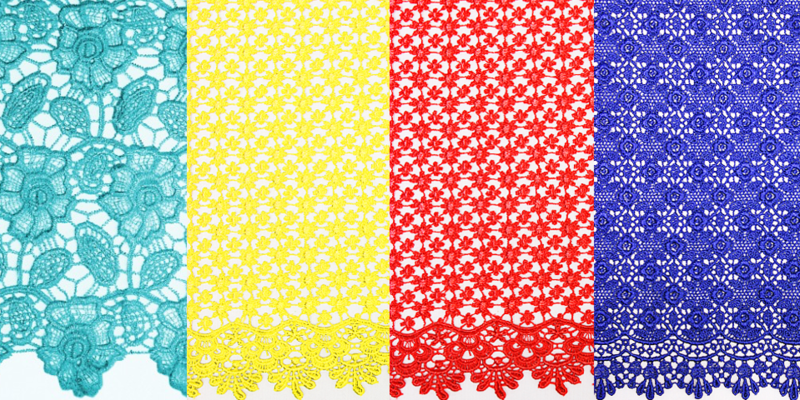 Austrian lace is still used as a label for certain high-quality lace on the African market, as well as Swiss lace and Swiss Voile, which are staples of the premium African textiles markets. Embroidery as a whole started in the Swiss town of St Gallen during the mid-18th century, when handmade embroideries on silk led to a fashion revolution the likes of which Europe had never seen, as well as extravagant tapestries in the homes of the wealthy. From those extravagant beginnings, a whole industry was born and delicate lace become one of the most highly-prized fabrics thanks to the labour intensive way in which it was created. 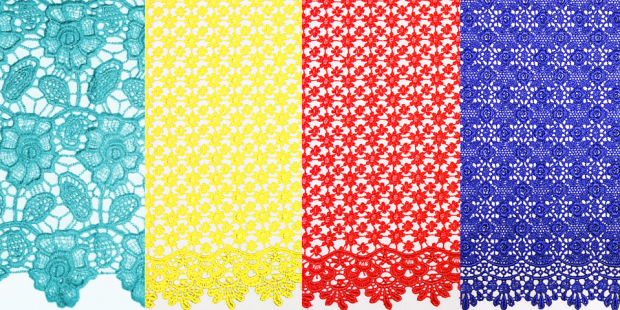 This type of lace is often used in Europe, and Africa, as a wedding material and is used to decorate dresses and create veils that add a touch of vintage drama. With the modern revival for old-style vintage clothes, too, Guipure has featured in a huge number of contemporary collections from leading designers. Lace has come in and out of fashion in Europe, but the African nations, especially Nigeria, have a soft spot in their heart for this intricate fabric.